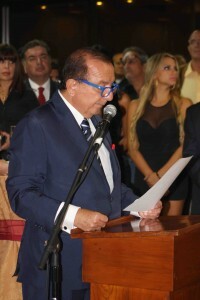 Aperture speech by the bussinessman Álvaro Noboa. After the grand opening and awards ceremony of the First International Biennial of Photography Alvaro Noboa, organized by the Luis Noboa Naranjo Museum in Guayaquil, Ecuadorean newspapers like El Universo and El Comercio have highlighted its execution. Likewise, the television media Telerama has made a report about the event. Meanwhile, the website www.yolomando.com, which informed to the community of photographers artists about the contest, also announced the winners of the competition. In the reportage of the N’Boga program of the TV channel Telerama, is mentioned the participation of 200 photographs of artists from all over the world, as well as the works are shown and the winners of the competition are mentioned,who were chosen by a jury of experts. 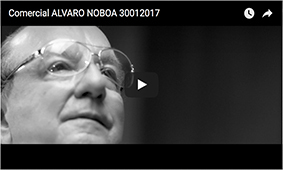 They also did a short interview to the businessman and philanthropist, Alvaro Noboa, sponsor of the competition. Mr. Noboa said to the ecuadorian media he was satisfied by the large number of participants and this event is another contribution to art, not only for Ecuadoreans but for the entire world. Businessman Alvaro Noboa has the same mission as the website www.yolomando.com, which is: give a chance of recognition to amateur and professional photographers, in addition to promote photography as an art. This website, besides providing printing services, has a fairly updated section on photo competitions for its users and other photographers who want to learn about the world of photography.